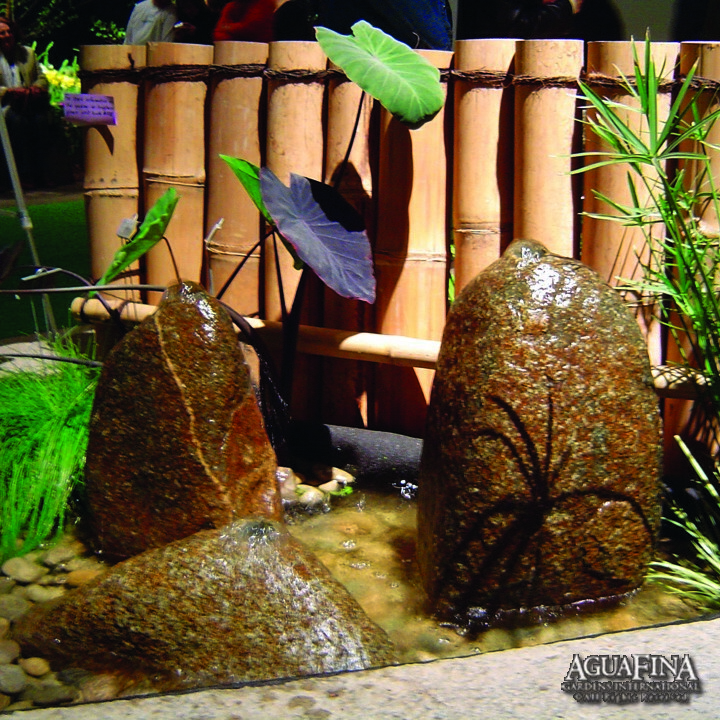 These fountains can be installed on top of a deck or patio as well as used in interior applications as the basins are part of the sculpture. 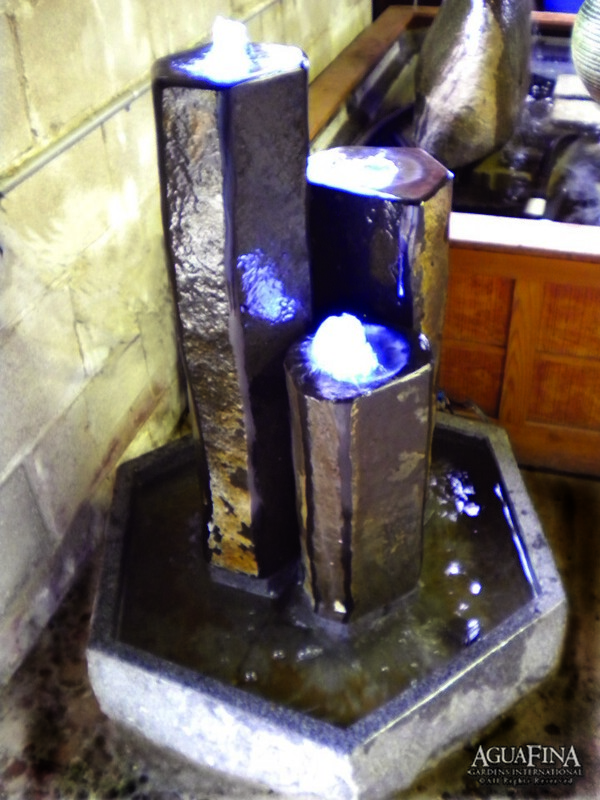 Fountain includes all components, including the pump, for immediate use and enjoyment. 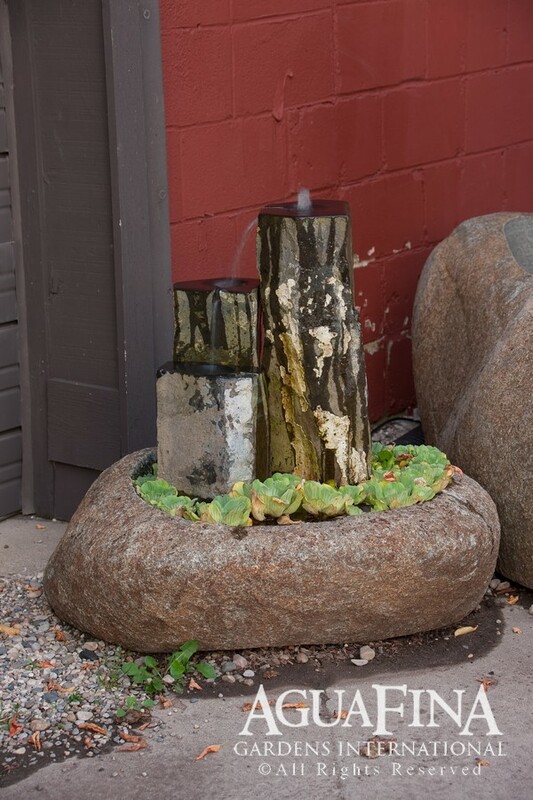 As each one is unique and one of a kind the fountains are available in multiple sizes and styles as well as custom designs. 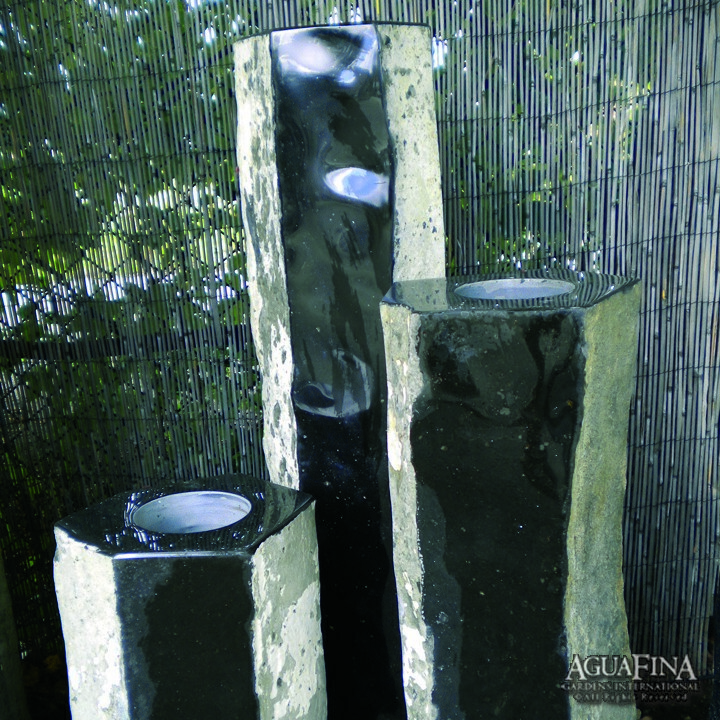 The three basalt pillars are accompanied by a natural granite boulder basin.